Dynamic nuclear polarization is a well established technique, which has been used to produce polarized targets for experiments in nuclear physics. 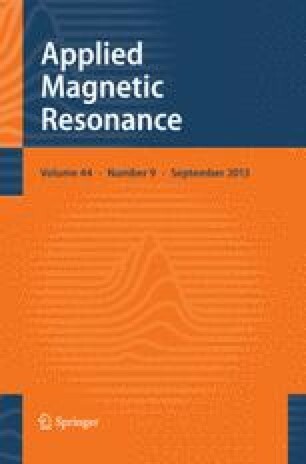 This paper suggests new experiments, involving the nuclear magnetic resonance of two isotopes, one stable, the other radioactive, in an antiferromagnet, terbium vanadate. At temperatures well below the Néel point, the line widths should be comparatively small. Resonance may be detected through changes in the rate of gamma-ray emission observed by a nuclear orientation experiment.